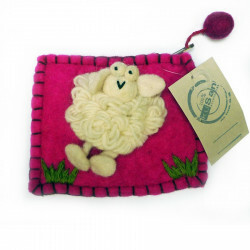 A lovely purse 100% wool, decorated with an amusing sheep pin. 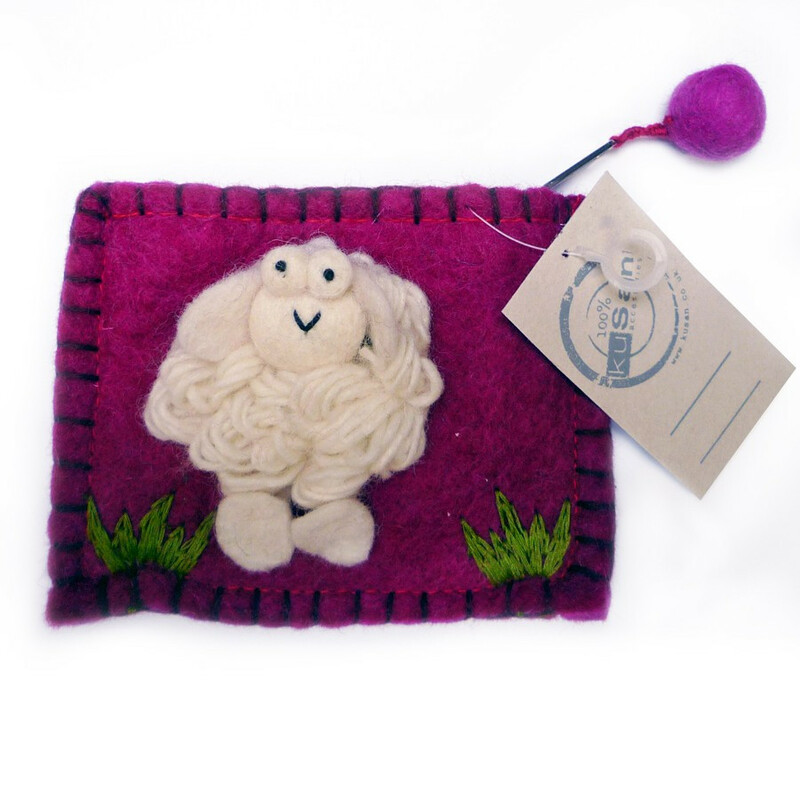 A lovely purse 100% wool, decorated with an amusing sheep pin. Created by the english brand Kusan, it has been made with a sustainable and ethical approach, it is available in 5 different colours: red, pink, green, turquoise and fuschia. The inside is in polyester. It has a zip closure. 100% wool - Inside 100% polyester. This purse is not a toy - do not give to small children.